Jean began her life's journey on this earth February 24, 1932. She is the fifth child of eleven, eight girls and three boys, born to Joseph "Joe" and Gladys Price in Meridian, Mississippi. She is preceded in death by her husband of 22 years, Wilfred C. Brown, parents Joseph "Joe" and Gladys Price, son Jeffrey Craig Brown, sisters Mary "Sis" Adams, Lillian Flynn, Bettie Joe Holman, and Audrey "New" Price; Brothers, Ozzie Price, and Charles Price. Jean graduated from T J Senior High School in Meridian, Mississippi in 1950. She studied Nursing at Piedmont, School of Nursing in Burkeville, VA. Jean moved to Los Angeles, CA. She worked as a nurse at Temple Hospital for 15 years. Jean met and married Wilfred C Brown in 1954. To this union, three children were born. Janice Lynn, Jeffrey Craig, and Dana Gayle. 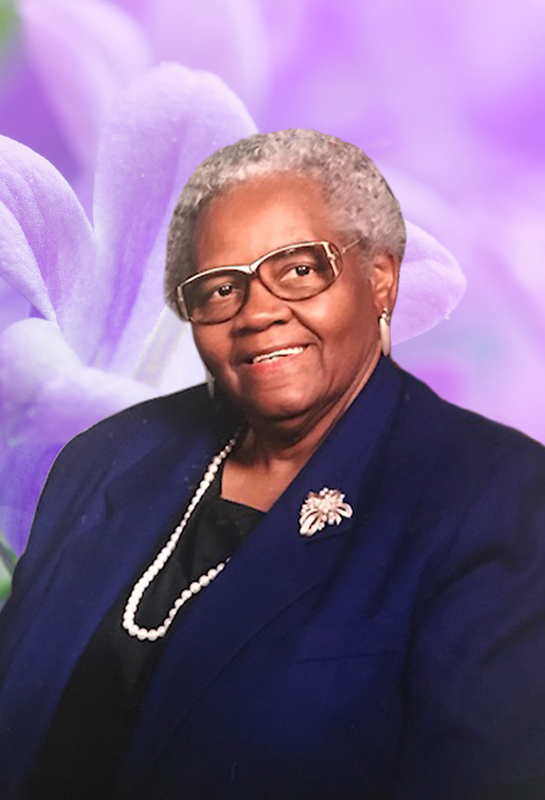 Jean was an active member of Holman United Methodist Church for over 50 years. She was a member of the Los Angeles Chapter of the Meridianites in 1977, until her death. She held positions as Chapter Treasurer, Chapter Parliamentarian, Regional Secretary, and as a Delegate for numerous Conventions. Jean shared a bond with her neighbor that was very special. She was active in the neighborhood activities such as Neighborhood Watch programs as well as the weekly Keno parties. In addition to her church activities and social clubs, Jean would be seen driving a station wagon full of kids; going to boy/girl scout meetings, little league games, and dance classes. Jean transitioned this life, on Monday, July 16, 2018. Jean leaves to cherish her memory two daughters: Janice Brown of Los Angeles, and Dana (Bruce) McCree of Rialto, CA; two grandsons: Justin Brown and Bryant McCree; one granddaughter, Danielle McCree; brother, Theodore(Betty) Price of Meridian, MS, three sisters: Thelma Randleson and EttaRae Flynn of Cleveland, OH, and Hazel Louise Smith of Chicago, IL; and a host of nieces, and nephews in California, Mississippi, Ohio, and Illinois as well as children who affectionately called her Nana Brown. The family of Emma Jean Brown would like to thank you for the many acts of loving-kindness shown to us during our bereavement. Your thoughtfulness is deeply appreciated and will always be remembered.